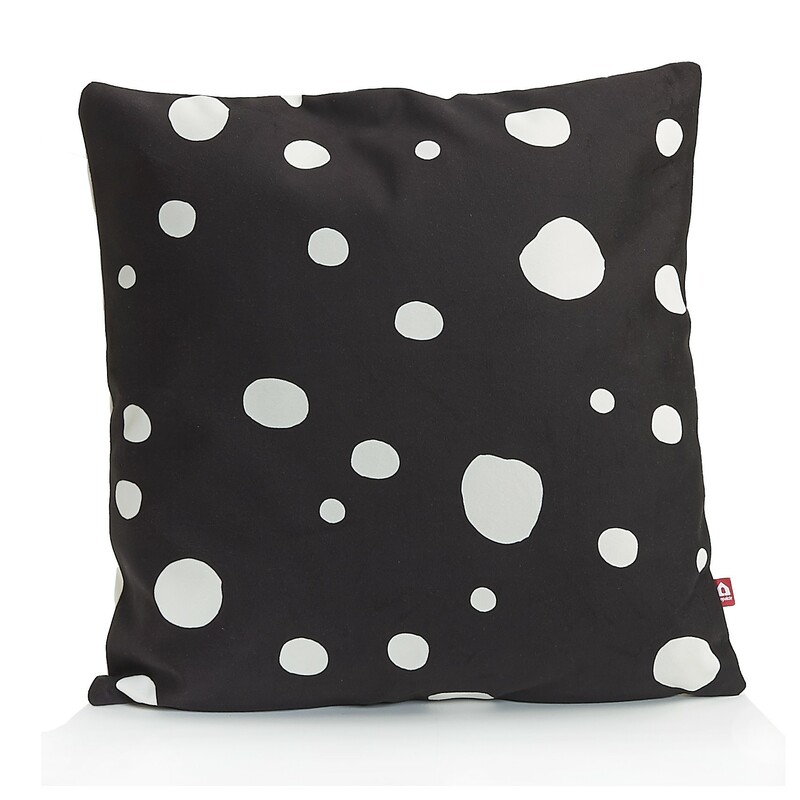 With pillows from the Make My Day collection by Popsicle on your sofa, chair, or bed, your room is immediately a little warmer and cosier. 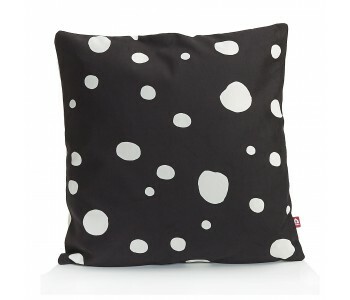 Designer Ingrid van der Veen created the pillows in 2 different patterns; Messy Dots and Stripes, and each design comes in 4 color patterns Coral, Light Grey, and Black combined with White. 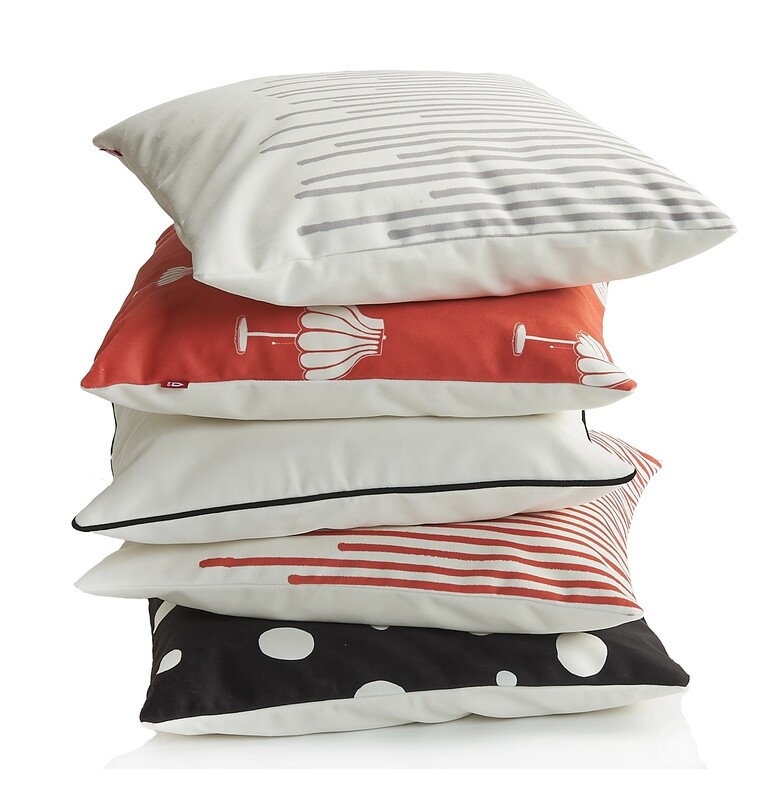 These 8 pillows go really well together.